Having had time to look around the new Google+ profile design, I'm quite content with the changes Google has made. Try looking at your own profile as the Public and you'll see the difference. Some people were panicking because they saw private photos or videos displayed but those are only visible to yourself and to those they have been shared with. Overall a new, fresh look. At the end of the photos tab page one can find this: If you have been tagged in, let's say Hangout screenshots, they are portrayed here. Again only the images shared in Public. 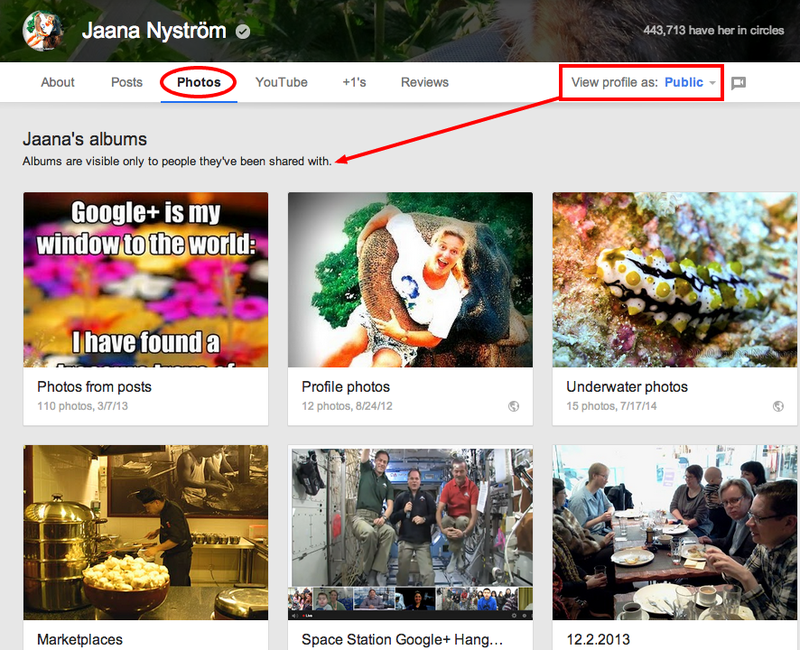 This was a cause for concern for some users: These are the videos uploaded directly to Google+. 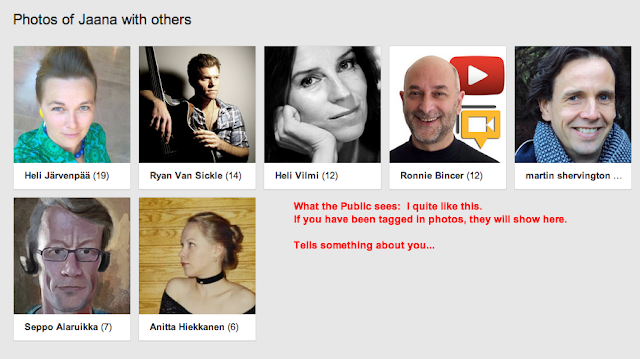 Viewing the profile as yourself, you can see all the private and secret stuff, but no worries, no-one else can. Only those you have shared the videos with have access. 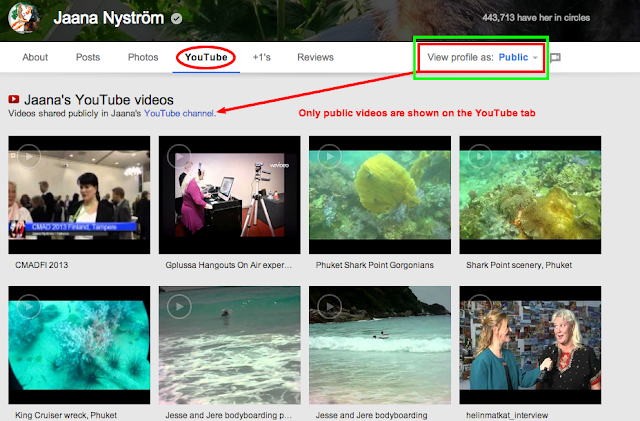 This is what the Public will see: First all the videos you have uploaded to YouTube and which are public. After these come those the videos that have been uploaded to Google+ and have been made public. You control what anyone can see on your profile: The privacy settings can be modified just the way you want them to be. Is there something else you'd like to see on your profile? Or rather not see at all?